According to the National Institute on Drug Abuse, every day, more than 90 Americans die after overdosing on opioids. Opioids are a class of drugs that include the illegal drug heroin, synthetic opioids such as fentanyl, and pain relievers available legally by prescription, such as oxycodone (OxyContin®), hydrocodone (Vicodin®), codeine, morphine, and many others. Any long-term use can put someone at risk of addiction, even if the substance is used as prescribed. Many people who use opioids will develop a tolerance to them–a phenomenon that can trigger the cycle of addiction. This means that the same amount of the drug no longer has the same effect as it once did. When this occurs, people routinely take more and more of the substance to elicit the desired response. This ever-increasing dosing places one at great risk for overdose. St. Johns County and surrounding areas are being affected by the opioid/heroin epidemic. Opioid addiction can be very frightening – not only for the individual with the addiction but for their family and friends as well. Breaking free of opioid, heroin, or prescription drug abuse takes effort and it’s difficult to do safely alone. EPIC can help and at the same time, we can provide support to family members. With the national opioid epidemic on the rise, EPIC Behavioral Healthcare has created an Opioid Treatment Team (OTT) through partnering with Flagler Hospital, the Family Integrity Program (FIP) and the St. Johns County Sheriff’s Office. EPIC’s Treatment Team will improve the access to treatment for those seeking recovery. Our goal is to provide behavioral health screenings, medication-assisted treatment, behavioral therapies and care coordination for clients struggling with opioid addiction in order to maximize their recovery outcomes. Our Opioid Treatment Team will provide better access to care, as well as give a “warm hand-off” to treatment for their opioid-use disorder. Additionally, once someone seeks treatment, our EPIC Recovery Center offers supervised detoxification services in order to manage the withdrawal symptoms. Detox is a medical intervention that manages an individual safely through the process of withdrawal. We also offer medically assisted treatment (MAT) which is helpful in achieving long-term sobriety from opiates/heroin/opioids. For our MAT program, we use Vivitrol which prevents relapse for opioid dependence after detox. It is a once a month, non addictive medication used in conjunction with counseling. Research shows that when dealing with an opioid addiction, the most successful treatment combines MAT and counseling. 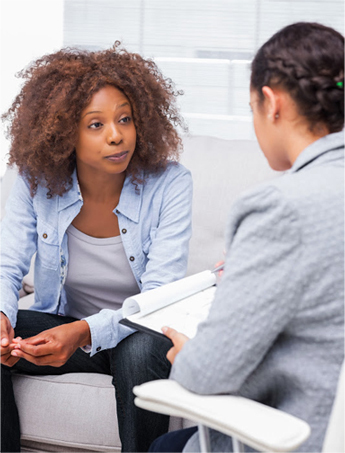 In addition to MAT and symptom control, EPIC incorporates counseling in our detox center as well as offering residential treatment and outpatient counseling for clients who have completed detoxification. With the help of our new Opioid Treatment Team and our partners and the EPIC Recovery Center, EPIC is directly combating the opioid crisis. Please call the EPIC Recovery Center for more information – (904) 417-7100.